May 28th, 2015 Eden was formed. Eden is a tribe that is influenced by the culture of the Inuits, though they include their own aspects. 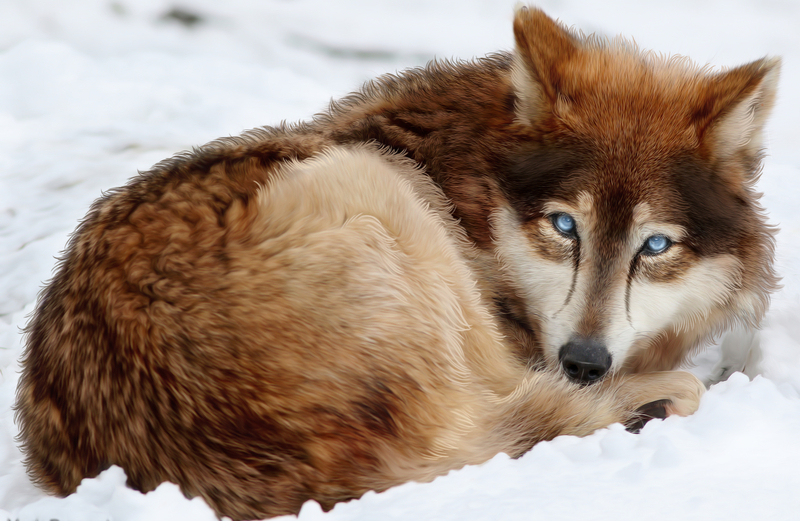 The idea of Eden is that all Wolves have a safe haven that they know they can be comfortable and accepted in. Eden believes in redemption, honor and family, preferring to offer a sanctuary to wolves of the world as opposed to reigning hell on earth. The Tribe welcomes wolves of all beliefs, or those that don't have any - as they want to fight discrimination in all ways that they can. 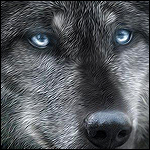 Wolves of Eden can believes in the deities that are in Eden, but it is not mandatory. Belief or no belief, or different beliefs altogether - it matters not. All are welcome. All wolves are encouraged to believe in what they think is true. Eden seeks to promote the importance of bonding with those of your tribe and the importance of family. Family to Eden doesn't necessarily mean blood related. Family is simply those of the same tribe, as Eden works as one family group. Wolves of Eden help to look after each other, even if the journey to that point is a long one, the tribe looks after tribe. The tribe is made up of 8 principles, that make Eden what they are which are Inuit societal values and Inuit Qaujimajatuqangit concepts. fostering good spirits by being open, welcoming and inclusive. serving and providing for family/and or community. development of skills through observation, mentoring, practise and effort. Though it is not expected for wolves of Eden to conform to all the principles, it is highly encouraged to try and embrace what Eden stands for. However, it is to be said that not everyone can or will show these principles in the same way, so it is also encouraged to be open minded to anothers approach. Shekinah looked to bring a new view upon those of Eden, and what it had been created as. Given that she, herself, was a female that had once been viewed as unfit for leadership and importance to the tribe, wanted to create a place where the genders came across as equal. No matter if one was female or male, each wolf has the chance to be whatever they want to. Each tribe member is as important as another. Eden believes in second chances, willing to offer their home as a safe haven to those wary travelers or runaways who find themselves needing a place to heal. Make no mistake, though, Eden doesn't tolerate those who wish to harm their family or their home. Disrespect can come in many forms, though Eden tries not to judge outright based on ones disrespect. Sometimes one can be disrespectful whilst learning to be better, and other times, a wolf can show their respect in their own ways. Eden doesn't discriminate against personalities, but to be one with Eden, the wolf has to at least try and better their ways and respect what Eden stands for. Eden will first and foremost protect their family and their land, both of which is sacred to them, so should they be met with any defiance and truly malicious intent, Eden will protect what's theirs. The Tribe tends to practise animism and shamanism, in which healers are thought to be spiritual and mediate with the spirits. Though not all healers of Eden practise Shamanism, it is believed that those that do have a special gift to talk to the essences of the world. 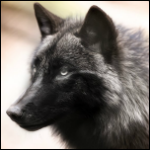 Originally Eden was created by a wolf named Thanatos, with wolves named Nova, Kiara, Leilah and Ailiyah as his founding contributes. Thanatos believed in one god, and one god only - Elohim. He ran the pack heavily based on his belief and his god, and for a time, Eden was male dominated. Females were held in reputation to a dark mistress named Nukpana. She tainted the beautiful image of Females, she let evil into her heart and let her mind be blinded with sinful emotions, believed to be blinded by rage, she went and caused the devastation that has left the creation separated from it's creator. Because of this, females were not often granted a higher rank in Eden. Upon Shekinah's leadership, she has worked hard at removing the bad stigma that came with females and has actively stepped on each and every stone that she could possibly have. She had pups in her first season outside of mateship and has become a single mother, whilst also being a young Alpha who is the first of her gender to lead Eden. For the original Eden history, before Shekinah was Chief, read here. As a general description, the tribe of Eden believe that everyone and everything has an essence, a soul, a spirit. There is no divine afterlife or hell, instead, when one dies, it is believed their their soul lives on and has the possibility to be birthed anew. Some spirits tend to linger in the plain after death, whether they have unfinished business or they simply can't accept they died. It is not often the latter, though, as wolves who practise the way of Eden tend to not be scared of the after, understanding that they will soon walk the earth properly again - simply in a different form. The Tribe's belief that regardless of the acceptance of death, the spirit still needs a proper send off before it can successfully move onto the next step of their journey. It is believed that not performing the ritual for a deceased wolf can lead to the spirit being stuck in the middle, or even disrespecting the life they led. Disrespect can often be believed to enrage the spirits, and believed to bring negative consequences to the tribe. So the tribe sticks to their ritual for the dead, hoping to give them a peaceful send off and to ensure that the dead hold no ill-will to the living. The ritual itself is pretty straightforward, simple but deep. The body of the deceased is brought forward to the Palekana (safe) cave that's nestled in the trees, where wolves of Eden do not go - as they know it is used solely for the dead. With their body, flowers and herbs are left. It is believed that it is better that they let the body naturally decompose in a burial chamber where it is safe for the spirit of the wolf to leave without hindrance. The flowers and herbs are decorated around the body to both help mask the scent of death, but also to pay respects to the dead in which they decorate. When the body is placed in the cave, the words, "travel safe, brother/sister" are whispered and it is expected that the leader of Eden, having crushed a flower into water, will douse their paw in the colour given by the petals and water, and swipe it down the middle of the deceased heads. This is called a "honor line", and it seals the ritual and signifies that the dead is now ready for the spirit. This belief stems from the connection to their land and nature, it is considered a great honor to be sent off this way. It is believed that if a wolf is simply buried or cast into the ocean, this will give the spirit torment and will be difficult for them to pull away from the body. The burial chamber is respected, and the ritual even more so. The flowers and herbs that are decorated with the body have other uses outside of masking the smell and pay respects. The White Poppy is laid with the body as it also has the ability to relax the mind, allowing the spirit to relax if it is restless. This is the custom of mateship / marriage in Eden. Relationships are considered fairly sacred within Eden, though they are not as limited as one may initially think. Eden values love immensely, and would not turn someone away for who they love. 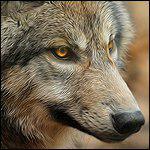 They are accepting of all sexualities and relationships - wolves of Eden do not have to be traditionally monogamous. 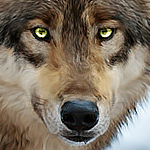 Wolves of Eden are free to explore their relationships however they please, and should they wish to make it official by becoming mates, they are more than welcome to request the satt. (If the wolves in question want to have the satt, but not a religious one, they are more than welcome to request it.) However, it is not something that is expected of wolves. Whilst it is a beautiful ceremony to have, wolves of Eden need not feel pressured to have the satt, or even become official mates if that is not the path that they are walking. Shekinah herself had puppies out of wedlock and would never force other wolves to spend their lives together because they created life together. It is Eden's firm belief that the wolf should have a choice. The satt is a ceremony that the tribe perform when two wolves or more wish to go by the tribes custom to announce that they are officially mates and forever tie themselves in the eyes of their deities. The Satt is usually held on Rarizu Overhang, so that all the wolves can be before the ocean, a tall point so that the deities can view the ceremony with ease. The wolves that are to be wed to each other are stood in the middle of the overhang, with the Pack surrounding in a semi circle. Before them will stand the Shaman, where, depending on the couples preferences, will either ask for blessings from the deities, or will simply say their own blessings for the couple. Once they have been blessed, the Yenene will wish them well and they will have been officially mated together. Usually, the pack will engage in a howl as celebration, and a hunted prey will be presented to the new mates so that they can enjoy their first meal together as mated wolves. This is for the Pallaton's that have been presented to the Chief to try and pass the test so that they can become a fully initiated Ozuye in the ranks of Eden. The Pallaton is brought forward by the High Ozuye before the Chief, where the High Ozuye will state that the wolf in question is here to prove themselves worthy of the Ozuye rank. The Pallaton is to fight their mentor, to subdue them and get them to submit - as opposed to actually trying to kill them. Winning doesn't necessarily mean that a Pallaton will become an Ozuye. They are also being judged on their strategy as opposed to simply brute strength, and if foul play has been suspected, a Pallaton instantly loses. Ozuye's aren't to rely on just their brute strength to get them by - their smarts are important. Wounds can be had from the Chanowk, but if the fight gets too close to becoming less of a Chanowk and more of an actual fight, the audience is to step in and stop the fight. If foul play has been suspected or called, the Pallaton, even if they 'won', remains as a Pallaton. The Pallaton can remain in their current rank for as long as their mentor sees fit, or in the event that they have committed foul play, they can only try to be initiated again once the Chief thinks they are ready. A Pallaton can keep trying to pass as many times as they want, but only if they genuinely fail, and not on foul play basis. If a Pallaton has been accused of foulplay three times, they are no longer allowed to try to become an Ozuye. Once a Pallaton has officially been called the winner of the Chanowk, they are accepted into the pack as an Ozuye by the Chief. This wolf is the leader of the Pack, the Alpha. They are in charge of ensuring everything is going as it should and that members are happy and healthy. The Chief is considered Head of the Family, being the wolf that everyone should feel encouraged to seek out should they need to. The Chief has the final say in decisions, over everything. The Chief's duty is to see the survival of the tribe, and to make decisions that are needed to make it happen. Wolves do not need to ask the Chief on whether they can have pups in the mating season, but it is expected that the Chief is to be the first to know from expecting wolves. This is the wolf that is the mate of the Chief. The Nuttah requires the same amount of respect as the Chief, as while they don't have the power that the Chief does, the Nuttah has some very important responsibilities. As the Chief's mate, one of the many roles that the Nuttah can take, is helping to guide the young of the Pack. They are to oversee the journey of the young ones and to ensure that they are being properly guided into Adulthood. The Nuttah is considered part of the Council, and they can, if they choose, partake in the training of the youth. The Ogema is highly respected, and can speak with the voice of the Chief. 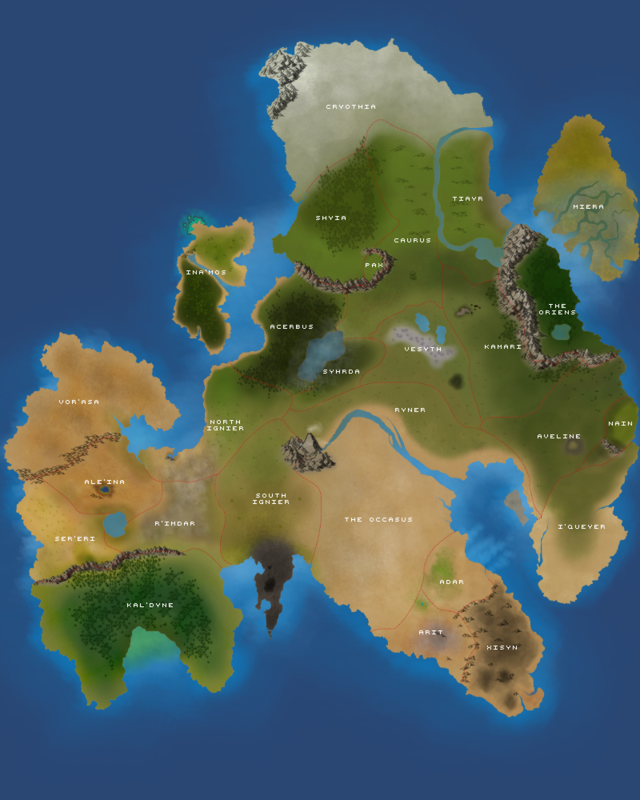 The Ogema is responsible for making sure all those in Tier 2 are doing their duties, whilst also patrolling the borders themselves. If they want to, they can take on a Pallaton to mentor themselves. If the Chief is unable to perform their duties or are unavailable, the Ogema becomes acting Chief when required. They can accept new members into the Pack. Their council is incredibly respected by the Chief, and very trusted. The Council usually consists of 2-3 wolves that the Chief finds incredibly reliable, useful and can be trusted. These are the wolves the Chief will go to if they find themselves uncertain on how to proceed with something, trusting their advice to aid them to the answer. The Council are to be respected, and are often wolves who have other ranks within the Tribe. Wolves of this rank can, if told by the Chief, accepted members into the Tribe. The Ahote is the name for the Chief's that have stepped down whilst not dying as a Chief, and are considered retired. They are filled with wisdom and experience that the new Chief's can continuously learn from, and should a Chief need guidance, it is common for them to seek out the Ahote. They are highly regarded and respected. This is a wolf who are considered to act as a medium between the visible world and the spirit world. The Yenene are believed be hold "special powers" to bless, talk to the gods, and have the magic to heal the sick. The Yenene is in charge of blessing the wolves in the Satt, and bless the hunt of any wolves of Eden. Wolves of the Tribe are highly encouraged to seek out the Yenene for wisdom and guidance. This wolf is the leader of the Alo's and Orenda's. They are both a faith healer and a physical healer, skilled, artfully so, in all areas. This rank is usually reserved for the wolf who has shown their skills and their desire to help -- even if one doesn't have a faith, to become the Yenene a wolf must be educated and skilled in faith healing and physical healing, so that they are able to help any patient that they can. Religious or not, the Yenene knows what they are doing. They are very well respected, for they do what they do to be able to help and without the Shaman, the Tribe would be without that knowledge and skill. When named Yenene, they are often given a Shaman "name" by the Chief, something thought to be sacred and a great honor. Leader of the Ozuye's, this wolf is not to be trifled with. This rank has many branches of responsibilities. Any issues or problems within the Ozuye are to be taken to the High Ozuye first, before they are taken to the Chief. The High Ozuye are in charge of the training and form of the Ozuye, and are expected to ensure the Ozuye are always in tip top shape, and that their health is always checked. 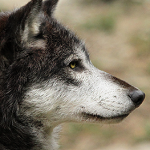 Typically this wolf has proven their athleticism and strength, of both body and mind. Their mind is a powerhouse of strategy. They are who the Chief will ideally go to when planning alliances. The High Ozuye should strive to know as much as they can about Anikira and the packs that reside in it. The High Ozuye is in charge of the pack's security, has the power to send wolves to patrol the borders, and they are the overhead of the training of the Pallaton's. An agile and skilled wolf is required for this rank. This is the leader of the Akandos, the hunters of the Tribe. 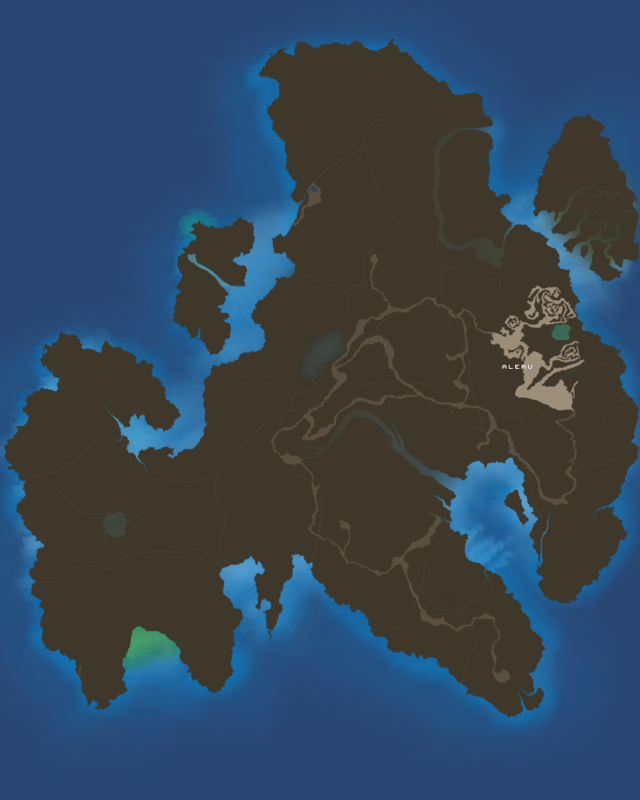 The Otaktay, alongside the Akandos, should be out hunting as much as possible - especially when the season is soon to change. The Otaktay helps to train any Hastiin that wants to become an Akando. Their opinion is respected, and it is required of the Otaktay to be up to date with all the prey that is around and the conditions of their lands. This rank is for the warriors of Eden and they make up the majority of the strength in Eden. 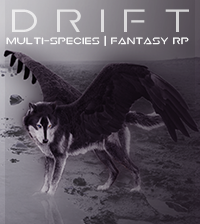 They are the wolves who are bound by duty to protect and fight for Eden and their lands. They are one of the first set of wolves that are sent out into battle alongside the Chief. Entering this class is not a decision to take lightly. Though the basic trainings will have been conducted when the wolf was a Pallaton, the training process never truly finishes. It is prudent that any wolf who is an Ozuye is kept in tip top shape, the maintenance of being an Ozuye is long and gruelling. Those that pass onto Ozuye from Pallaton have proven their hardiness, determination, loyalty and will. The Ozuye's are to report to the High Ozuye, and can have Pallaton's under them as trainees. When training a Pallaton, the Ozuye is responsible for them and their actions. The Ozuye must keep the High Ozuye up to date on their trainee. - When an Ozuye believes their Pallaton has reached the end of their training, they must inform the High Ozuye for them to present the Pallaton to the Chief. The Chief alone can accept the Pallaton into an Ozuye, but it is common for the Ogema to also have a hand in acceptance. The Ozuye in question will be the one their Pallaton will fight in order to prove that they are ready for the Ozuye rank. Winning does not necessarily mean acceptance. Honor is important in battle. This rank generally has the most wolves. An Akando must ensure that the pack is well-fed, and are the main source for food for them. The wolves that take this rank are usually fast and smart-thinkers, but they are to understand that the 8th principle, no matter their beliefs, is to be respected. The animals that they hunt are sustaining their lives, and it's not to go wasted. Akando's are expected to ensure no food goes to waste, and that bones of the prey are not to be just left around Tiayr. Akando's are to know their hunting grounds well and are in tune with their instincts. Pallaton is a rank chosen by an individual when they wish to become an Ozuye. It is usually filled with previous Hastiin's who are to be trained and taught, but it is not uncommon for normal adults who are new to Eden to choose this rank whilst they prove themselves to become an Ozuye. Each Pallaton can have a mentor, either another Ozuye or in some rare cases, the Ogema. Typically they are in this rank for a year before their mentor thinks they are ready for the fight. They must proves themselves skilled and loyal, ready to become the first-line of defense for Eden and be willing to protect even if not in a Tribe battle. This rank are typically wolves who help assist the Yenene and Alo/Orenda's in gathering herbs and destroying the ones that aren't useful. They help to prepare for any ceremonies and rituals, spiritual or otherwise. The Abeque are also considered caretakers for the young and the elderly. This rank is often seen as the training ground for those striving to be an Alo or Orenda, and an Abeque can take an apprenticeship beneath an already established Alo/Orenda. A wolf can stay as an Abeque for their entire life, choosing to care for the young and elderly and help out where they can with herbs. It is not uncommon for an Abeque to help new mothers, and act as a caretaker to the pups given to their care. An Abeque tends to be the first wolf that an abandoned pup or adopted pups will go to. This rank is for the healers of the Pack, both religious and non-religious. Both of the ranks, in the end, have the same common goal. To care for the ill and the injured. Whilst they are not as experienced as the Yenene, they are trained healers and work with direction and guidance of the Yenene. Both Alo's and Orenda's gather herbs, but the Alo's may bless the herbs if it is their belief. The Alo prides themselves in being able to learn and gather information on as many religious as possible, and to learn the ways of Pinga, to be able to apply this knowledge to any wolf who is in need of their help but have religious needs in their healing. Both Alo's and Orenda's are well respected, as their jobs are not always easy and can come with horrible sights and experience. They are able to help with birthing of new litters and are expected to look after new mothers and their pups, to ensure both mother and pups are healthy and protected. They are to help the Yenene in any way he requires, and can often be called to assist him in his duties. Both of these ranks are as equal as the other. Eden wishes to respect the religious aspects of ones religion, and would rather learn and adapt than disrespect them. Think: one is religious, and the other, science. Wolves of this rank are considered scouts of Eden. They are the eyes and ears, skilled in the art of subtly and are able to think fast. A Siri is to report straight to the Chief before anyone else, their tongues to be held so no information can be heard by unwanted ears. They are particularly useful at holding secrets and sending messages, knowing Tiayr and the outside lands more than the usual wolf. A Siri is duty-bound and oath-bound to never tell anyone outside of the Chief (and sometimes the Council) of what they have discovered unless given permission to do so. Often the identity of a Siri is kept secret to help protect them. This is what an Amaak becomes once they are one year and beyond. This is the point in their lives in which they start to train for their chosen path in Eden. They can remain in this rank until they are ready to choose their path, but it is encouraged for the Hastiin's to partake in training of multiple things if they aren't sure of what they want to be, to get a feel of what they like and can be good at. The Chief's first and only heir to the Chief title. They will be trained accordingly to be the future Chief, and much is expected of them. The Yuma is not always the first born of the first litter by a Chief, as depending on the age of the Chief, it is normal for there to be a few litters before a Yuma is chosen. Only when the Chief is ready and knowing it is time to train one to take over will there be a Yuma. This rank is reserved for the pups of the Pack (Up to 1 years old). Pregnant wolves can also be considered Amaak's, and the wolves that are of this rank are to be cherished and looked after by everyone in the Pack. Whilst this is not an actual rank for those that are alive in Eden, it's more of a term used to class those that have passed on to the other side. It means Spirit and it's symbolic for those that no longer walk the Earth in their previous form. Eden does not like to forget those that have passed on, and with this Angeni term, it is a way for the members to once more stay within the ranks and hearts of Eden. The Angeni are forever loved. This rank is held for only those that have proven themselves unworthy of any other rank, it usually due to abusing their title, abusing the trust of the Chief, or have done something to an Amaak. Any Wolf that has found themselves falling this low will usually find it difficult to work back up from this rank, and will have dishonor follow them. 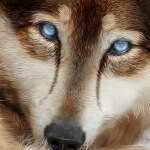 It is a custom of Eden for any wolves going to battle to wear what is considered warpaint. This is simply either just berries crushed in large quantities or roots crushed then mixed with water, and applied with the Yenene's paw, and applied to the wolf's face. No matter the religion of the wolf in question, the Yenene will always apply the crushed berries/roots alongside, "may Winalagalis bless you, and see you to victory." Before the Otaktay and their Akandos leave for their hunt, each wolf can choose to partake in a ritual - whether it is a request of a blessed hunt from Amarok/Pinga/Nanook or their own gods, they are allowed. It is not required to do any ritual, or to ask for a blessing. "evil god of the sea who can hurt boats by biting them; spirit which lives under the ice and helps wanderers in hunting and fishing"
To have an overall successful winter for hunting, one requests a blessing from Agloolik. It's said that leaving a various amount of fish by the water is an acceptable offering for Agloolik, as he once found himself addicted to the creatures of the sea. As Agloolik is a tricky god and can easily change his mind, it is common for wolves to continuously leave a number of fish they have hunted on the ice for the deity, to keep him appeased and unwilling to take away his blessing. He is widely known as an evil god of the sea, who if disrespected, will not hesitate to drag you down into the depths of the deepest part of the water. When wronged, Agloolik is merciless. He is the God who one can never be too sure if he will actually bless them or not. 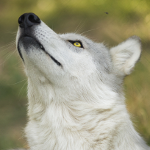 Wolves of religious tendences tend to request blessings from Akna, who if does bless the wolves, blesses them with lucky of fertility in hopes that their chances of falling pregnant in the mating season are high, and have a litter of full births. If a stillborn is birthed, it is believed that Akna could have been disrespected and is feeling unappreciated. It is said that only wolves that have been blessed by this God can successfully hunt at night. To seek his blessing, a wolf must remain awake throughout the night for a week, and fast for each night they are awake. If a wolf dies in a hunt or due to a hunt at night, it is believed that this God wanted the spirit and chose to give them bad luck. 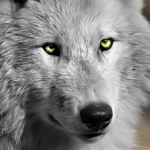 If a wolf did the ritual for his blessing correctly, but still died, it is believed that Amarok saw something special in this wolf and wanted to help. This God has been known to be offended very easily. To be carried by Anguta is considered a great honor. It is believed that he takes care of the journey of the dead, a blessing or a curse, depending on how you lived your life. Once a spirit leaves the body, they are to remain with Anguta for a year before they can move on. To grieve, to get used to being dead, resolve any unresolved issues, or until their new body is ready, any of these reasons can be why Anguta keeps the spirits with him for a year. Anguta comes once the Naesta has been completed. Nanook decides if Hunters deserve success in finding and hunting bears, and punished violations of taboos. He is believed to be neither bear nor wolf, but something powerful, large and mighty, quite like the animal he resides over. Respect and gratitude for a successful kill of a bear, it is expected that the bear's hide is to be laid rest somewhere high, no one from the hunt removing the hide. There is no ritual in requesting his blessing, all one has to do is ask for strength, and if they succeed in killing a bear, they have been granted a great honor. If they were to fail, Nanook has decided that you are not mighty enough to warrant such an honor for killing a mighty creature. Bears are considered a large proof of ones strength and might. To kill a bear, it is said that one has reached their peak strength and are a true gift to their Pack. When wolves kill a bear, it is said that the might and strength from the bear reaches out and releases into the wolves in question. Killing a bear cub is considered a great offense in the eyes of Nanook, and he will curse you to die by a bears paw, or a gruesome death. One CAN ask for strength from Nanook outside of fighting a Bear, as he sees it as quite the compliment that they want the strength and might of his animal even when they are not facing one. It is not always granted. Though Pinga is known to be the Goddess of more than just Medicine, it is medicine in which she presides. It is Pinga that the Yenene or an Alo will seek for help in their healing endeavors and to bless their herbs with her healing touch. When one has requested Pinga's blessing and help, but something bad still happens, it is said that Pinga has decided that the wolf is ready to die, and they are to suffer no more. Pinga is known to have a large amount of trust in her children of healing, and is said to watch over them like a hawk to ensure their health. To be granted Pinga's blessing is an honor. Here you will find the plot ideas that Eden are looking for, with major thanks to Roka for the help! These plots are 100% open to be "adopted" / "taken" by members who are interested Whether it's an already established OC, a new OC, or an adopted family member i.e pup from another Pack, they are welcome. The plots that are currently up for grabs are for certain high up ranks within Eden that are in dire need to be filled, and Eden as a whole needs to prosper. However, please don't feel obligated to keep said character within Eden until they die! Their placement in Eden is all played out IC, whether they stay or not is in the future and up to the character themselves IC. If you find yourself interested in any of these plots and want to put forward a character do hit me up on here at Minxy or on Discord at Minxy#5206 x) I'm super interested to see what you guys have in mind and how you think said character would fit into the plot! Feel free to include any extras, like what you would like to see, any suggestions or even more to additions to the plot! Size: medium/large ideally. small is not preferred. Ideally this wolf would have a strong set of leadership skills and is worthy of respect. Whereas Shekinah tries to balance her loving nature with her fierce side, this wolf wouldpreferably be more of a hardarse to balance out young Shekinah's personality. Hardened, strong, but also incredibly dedicated and fierce - something that connects her to Shekinah is her fierce and determined nature. We had the idea that this wolf joins Eden/meets Shekinah and is astounded that one so young is leading a Pack alone. They begin to try and guide Shekinah by questioning her, suggesting, and at first, they'll not completely trust each other. However, as they progress, they build a friendship and see a leadership together. Neither is perfect alone and they balance each other out. Making this wolf a perfect Beta for Shekinah. This wolf has a style all of their own. They aren't just about war and fighting, being the biggest or baddest wolf. They fit Eden perfectly. 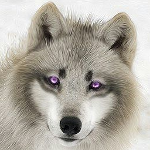 This wolf is actually quite calm and peaceful, who teaches more of a defensive style of fighting and focus very much on the development of skills such as evasion and indirect techniques. They have substance and teach substance, instead of being big, bad and brainless. This wolf is peaceful because they have seen the horrors of war and understand that life is to be cherished. Beneath the peaceful exterior, however, is a badarse who can prove their skills to anyone. Ideally, this wolf would also be more in tune with their faith. It's not in your face, however, but respectfully there. In them, you can find trust and is quite likable, however don't expect them to talk about their past. Their past is something they keep quiet about and their lips tight; a mysterious air around this certain individual. 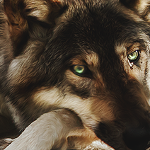 This wolf is ideally loyal only to Kinah. 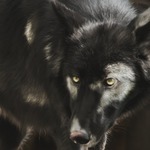 They are lethal, and honestly, just a little darker than what you would expect for a wolf of Eden. They will do anything for her, perhaps they are in love with her, maybe she saved their life, or something that would give them incentive/desire to deserve her. This includes running about and gathering as much information about everything and everyone. They are often a shadow and don't fit in with the Pack well at the best of times. Even Shekinah gets nervous because of how much knowledge they actually know. Think Liam Neeson kind of badass, and he would have a particular set of skills. This wolf is a little unhinged and capable of doing a lot if it is for his leader. NOTE: All Siri's tend to tell others they are an Akando as Siri identities are supposed to be known only be a select group of wolves. Currently we only have Ileana, daughter of Shekinah and Typhon, and sister to Tiberius as an actual character adopt for Eden. She was reclaimed after her previous adopter figured it was best to let her go, so you can find all the information you want about this girl and her adoption right here.